Show dates are February 27, 28 and March 1,6, 7 in the Seaholm High School auditorium. Tickets may be purchased at the door on the night of the show, or in advance online on the Seaholm music department’s webpage on the Birmingham Public Schools web site. Tickets are $12 for adults and $10 for students, seniors, and children. Director Laurie Frick has been preparing for this musical since the start of October. She has been working with a cast of about 60 students after school each week. “This is will be one of the most intricate shows Seaholm has ever done,” Frick said. The cast poses for a photo before performing at the Townshend. 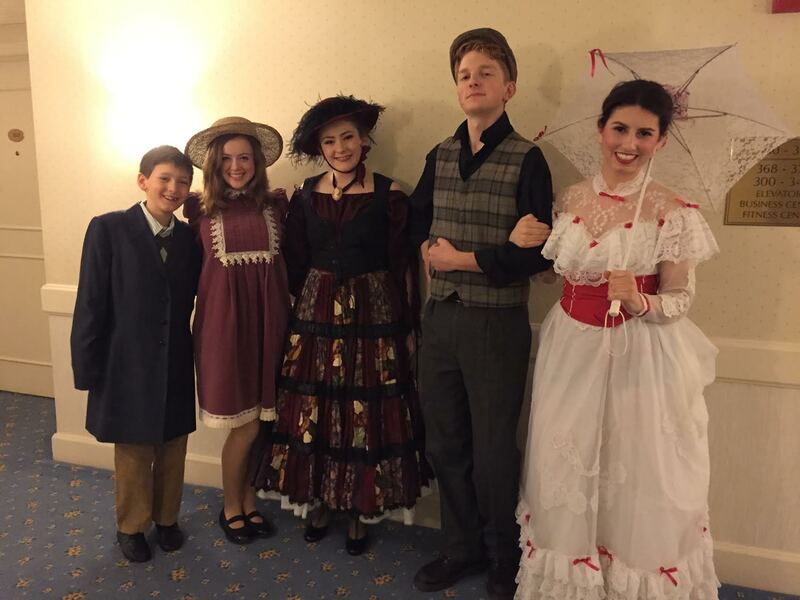 Pictured left to right: Jonas Annear (Michael), Freshman Lulu Bushman (Jane), Sophomore Jacqueline Lee (Mrs. Corry), Senior Freddy Hewitt (Bert), and Senior Amanda Najor (Mary Poppins). 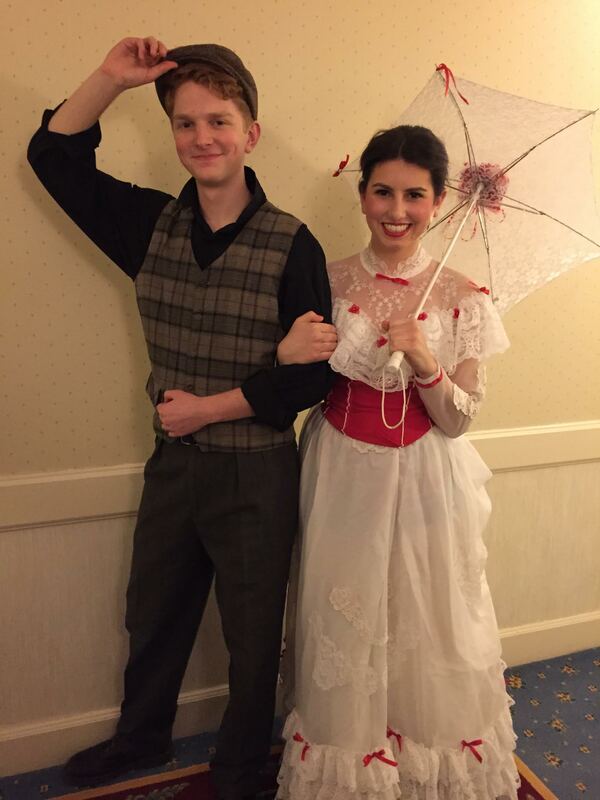 Senior Amanda Najor has taken on the leading role of Mary Poppins. This will be Najor’s fourth and final musical with Seaholm High School. She has prepared since early December to fully embody the tart, honest, and “practically perfect” Mary Poppins. The musical version of “Mary Poppins” is a combination of both the movie and novels. “The audience will be pleasantly surprised with some plot twists and new songs,” Najor said. Senior Freddy Hewitt will be playing Bert, the charming chimney sweep. Hewitt moved from Pittsburg this school year. He has been involved in theater since the third grade. Since then, wherever he has lived, participating in the musical has been a consistent activity in his life. The audience can expect a high-energy musical. Flying by Foy, a company from Las Vegas, has worked with the cast to perform various flying maneuvers. Members of crew will be dressed as chimney sweeps to move the sets, which will be constantly changing throughout the show. “I think the whole show in general you need a lot of stamina, but having such great people around we all motivate each other,” Najor said. “It is a magical show, it is a fun show, and it is a family show,” Frick said.